We are delighted to welcome Alice Barry & Ruti Lachs to the Inkwell Theatre stage! An affecting account of one woman’s search for viability and the ultimate sacrifice necessary to salvage her shattered life. 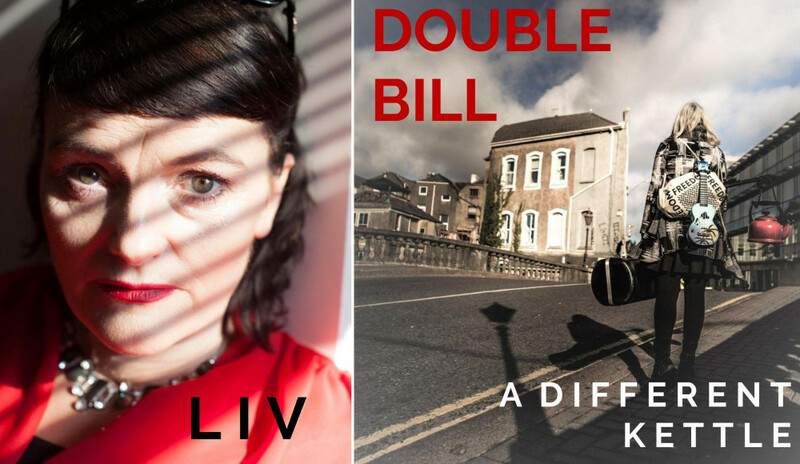 Liv brings you on an emotional rollercoaster ride through love, marriage, death, dating and daring to try again. Liv has had a terrible tragedy in her life and for many years she has lived a self inflicted lonely existence to battle her guilt and grief. Older and wiser now she is ready to step back into being. She is determined to forgive herself and move on in this life. The audience are taken on a memorable emotional rollercoaster; joy as Liv recalls the comedic drama of internet dating and sorrow as Liv draws us into her past life. The chance to lay her demons to rest hinges on the ultimate sacrifice she must make for redemption. Following the success of her first one-woman show, Sideways on Planet Piano, Ruti Lachs is back with A Different Kettle. What happens when your kids have left home, you’re in your mid-fifties, single, and fully aware of the potential out there for letting your hair down? For this multi-tasking, multi-instrumental individual, new problems arise, and old memories surface, and she explores solutions, with lots of laughs, a smattering of klezmer, jazz, and other musical styles, and plenty of soul.